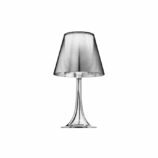 The Glass Drop table lamp draws its inspiration from a drop falling into a molten metal bowl, caught on camera at the exact infinitesimal moment in which it produces those soft concentric waves. 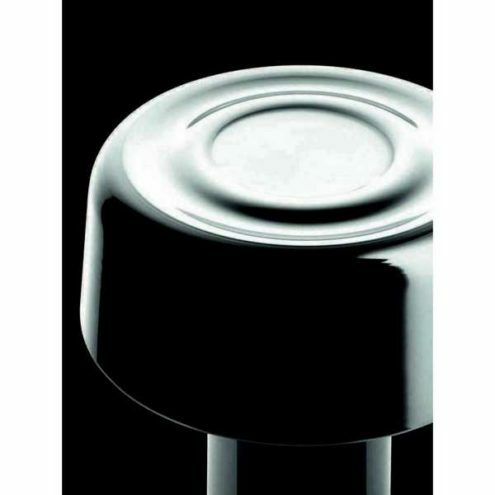 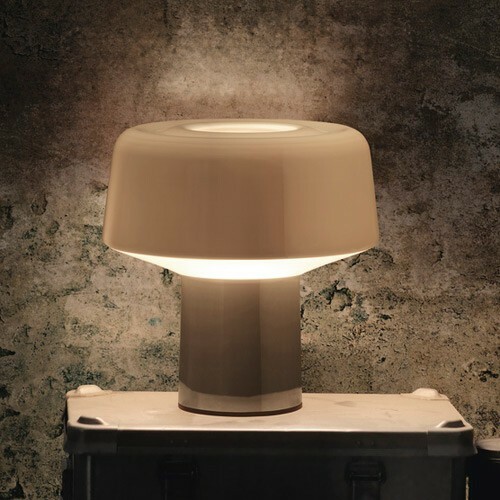 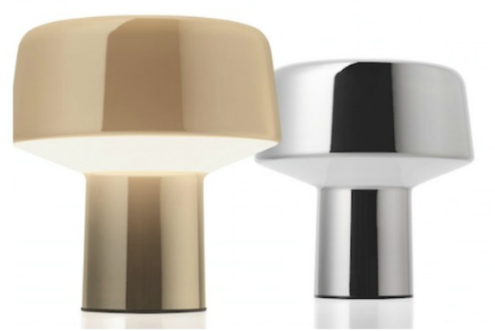 When the lamp is switched off, its silver surface is reflective like a mirror, yet when it is switched on, the blown glass takes on a soft and warm beige colour: two personalities that change at the mere touch of a button. 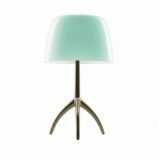 Table lamp with blown glass shade with the new coloured outer layer, polished finish and white inner layer. 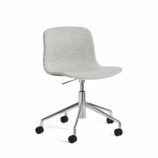 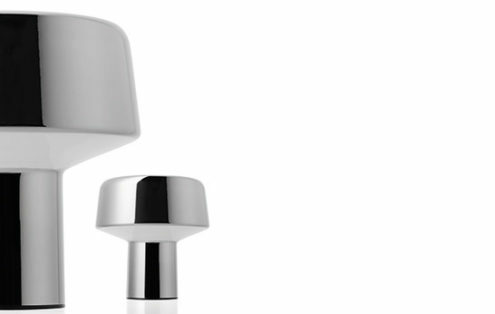 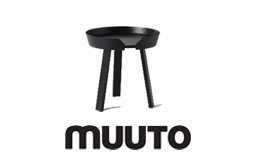 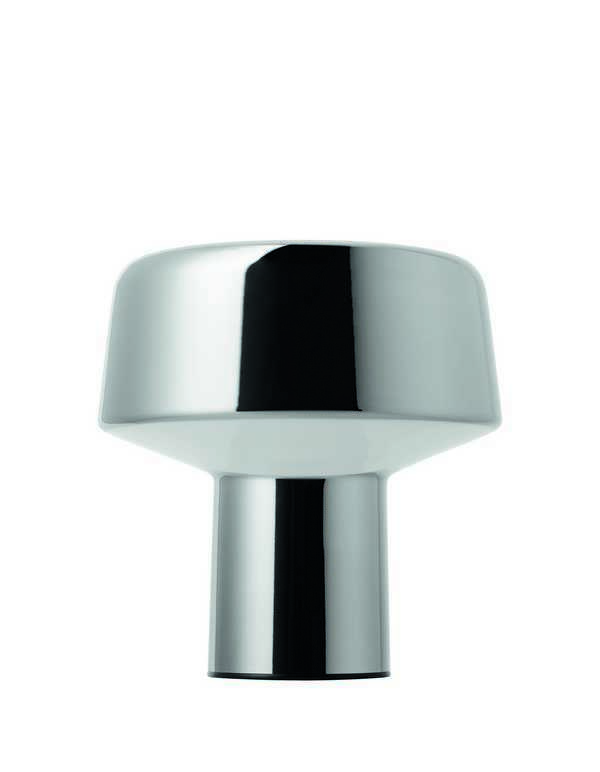 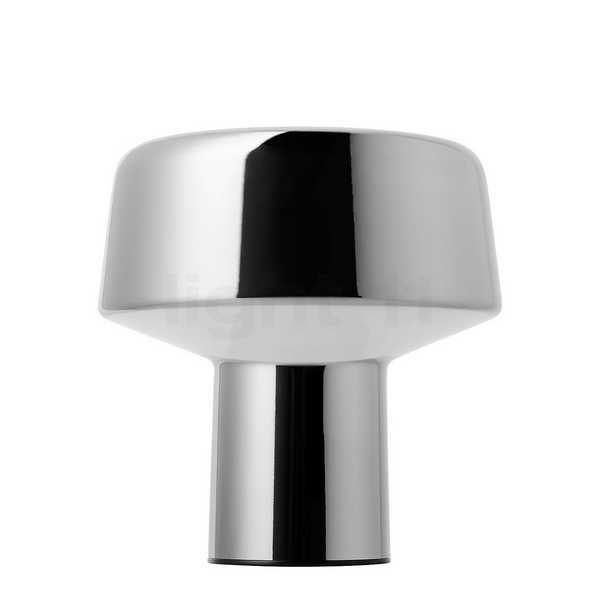 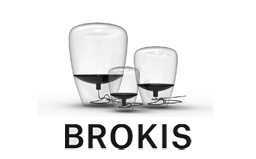 Base in polished aluminium or black chrome finish. 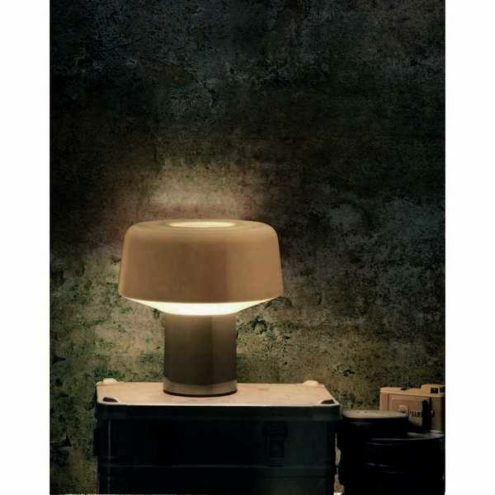 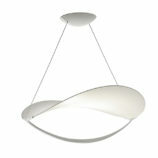 Available with or without dimmer (220V).